They ride their trashy Dutch bikes like die-hard rickshaw cyclists in India, they know that going Dutch is synonymous for “baby, pay your own bill” and they stalk their naked neighbour in his curtainless flat just like he is stalking them. They are expats gone wild in Amsterdam and I am one of them! Let me share my stories about a foreigner’s life in this glorious town. You’re in La La Land before you know it. I remember it as if it was yesterday. Me, about five years old, on vacation with the family. Canary Islands, a vivid hotel complex with palms, water slides, ice lollies, playgrounds and huge swimming pools with bubbles. All the things that make you gape in amazement when you’re a little kid. Only once the sun had set and the hotel’s animation team had called it a day after doing the mandatory Macarena dance with hundreds of lobster-red tourists, the venue would fall silent. And then this: 4 AM, uproar at the pool. A group of drunk guys and girls rejoicing, dancing and jumping into the water, splashing around, letting all hell break loose. People thought they were crazy, but they weren’t. They were Dutch. It’s not a matter of why one should want to celebrate for no reason, but a question of why not. 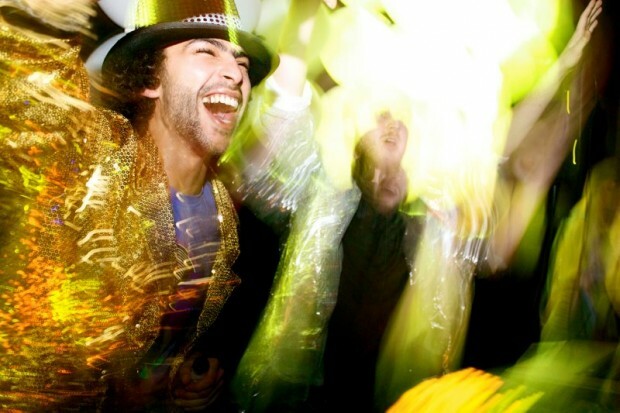 It’s no secret that Dutch people are professionals in organising parties and celebrating them. They love to get dressed up, then get naked again, jump into places they shouldn’t jump into and rebel against early closing hours when the sun is already rising. Why? “Omdat het kan!” – the Dutch would say. It’s because they can and that’s probably one of the wisest assumptions ever made. It’s not a matter of why one should want to celebrate for no particular reason, but a question of why not. That’s why now, twenty years later after being that 5-year-old kid amazed by those Dutchies having a mad pool party, I would totally be first in line to shout my lungs out together with them. Omdat het kan! Featured image taken at Next Monday’s Hangover. See you there next week!